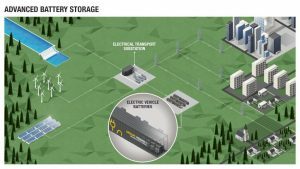 Groupe Renault has announced the launch of Advanced Battery Storage, a stationary storage system for energy developed exclusively from EV batteries. It will have a storage capacity of at least 60 MWh, making it the biggest system of its kind ever built in Europe, according to Renault. The first facilities will be developed in early 2019 on three sites in France and Germany: at the Renault plants in Douai and Cléon and at a former coal-fired plant in North Rhine-Westphalia. 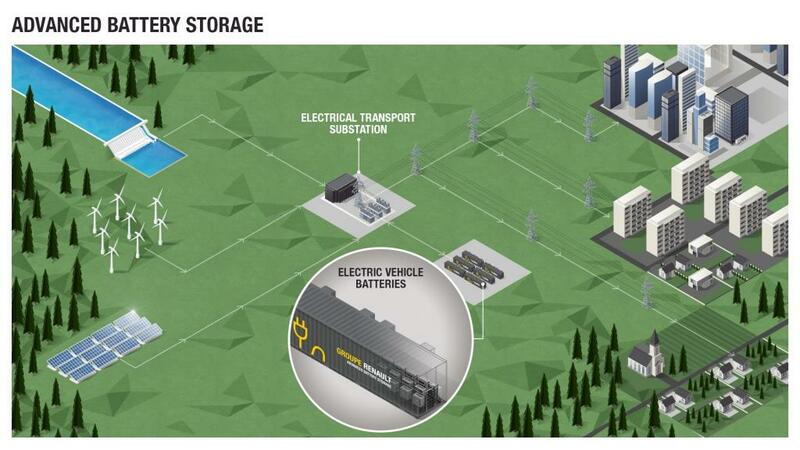 The storage capacity will then be gradually expanded over time to contain the energy of 2,000 EV batteries. At this phase, the system will have reached – or more likely, exceed – the 60 MWh, equivalent to the daily consumption of a city of 5,000 households. The purpose of this system is to manage the difference between electricity consumption and production at a given time, in order to increase the proportion of renewable sources in the energy mix. This means maintaining the balance between offer and demand on the electricity grid by integrating different energy sources with fluctuating production capacities.